Is This The Reason Why Sachin Tendulkar Refused To Promote His Biopic On The Kapil Sharma Show? Sachin: A Billion Dreams, released yesterday on May 26, 2017. Now since it’s like a ritual that almost every Bollywood movie graces the sets of The Kapil Sharma Show for its promotions, audiences were certainly expecting Sachin Tendulkar to do the same for his biopic. 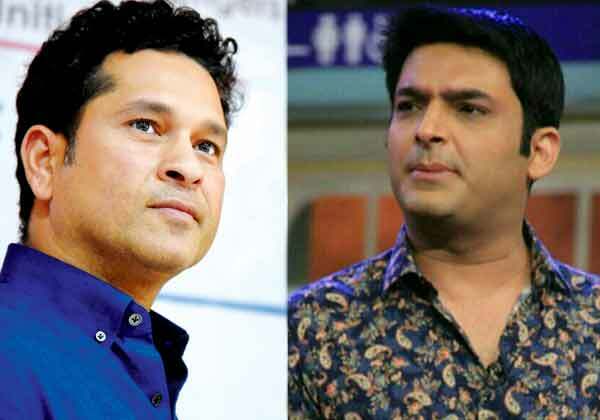 However, despite Kapil and his team’s serious efforts, Sachin Tendulkar refused to shoot an episode with Kapil for promoting his film. But why? Reportedly, Sachin said that he only wants to promote his film on Marathi shows. Sachin already promoted Sachin: A Billion Dreams on the sets of Marathi Comedy Show ‘Chala Hawa Yeu Dya’ and had no plans to promote the film on any other show. He appeared in the Marathi show before the movie‘s release. There are no chances for Sachin to promote his film on The Kapil Sharma Show for sure. Kapil’s show is going strong since 2013 and is facing TRP crisis apparently. However, Sachin is not the only celebrity who doesn’t want to promote his film on The Kapil Sharma Show. Actors like Aamir Khan, Nana Patekar, Sridevi, Sanjay Dutt, Rajnikanth, Swara Bhaskar, Radhika Apte never graced the show with their presence till date. Cricketer M.S Dhoni also had a biopic made on him which was titled M.S Dhoni: The Untold Story. But even Dhoni chose to stay away from promoting the film on The Kapil Sharma Show. South Superstar Rajnikanth had three films released in the Hindi version since 2013, namely, Lingaa, Kabali and Kochadiyaan. But even he never made an appearance on the show. Now we really don’t know the real reason why these stars never chose to promote their films on The Kapil Sharma Show. With the falling TRPs of Kapil’s Show, it’s fair enough that Sachin chose to promote the biopic on a Marathi comedy show and not The Kapil Sharma Show. Next articleYou Will Be Shocked To See Rajkummar Rao’s Half-Shaved Head Look!